During WWI Gotthard Sachsenberg was a commanding officer of a navy aircraft unit. He favorized the Junkers J7 and J9 and in 1918 his unit was equipped with Junkers J9 aircraft. After WWI Sachsenberg's unit continued fighting at the Baltic regions against Russia. His unit received 30 Junkers J9 aircraft plus 15 Junkers J10. In May 1919 Sachsenberg founded the Lloyd Ostflug GmbH with the support of Hugo Junkers, Albatros Flugzeugwerke and the Norddeutscher Lloyd shipping company. In December 1921 parts of the Lloyd Ostflug were integrated in the newly formed Junkers Department for Air Traffic at Dessau. Sachsenberg became the director of this new departement and was responsible for the development of the new Junkers Luftverkehr. In October 1925 Sachsenberg, now managing director of the Junkers Luftverkehrs AG was forced to leave his position by the RVM, who blamed him responsible for the desolate situation of the German airtraffic industry. 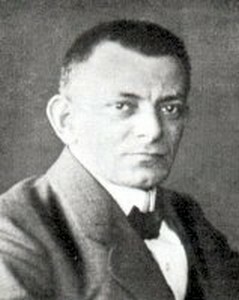 Gotthard Sachsenberg was also responsible for the German-Russian Fili treaties in 1922. In 1926 Sachsenberg became manager of the Junkers sales departement. He still remained as a member of the supervisory board of the Oberschlesische Luftverkehrs AG after 1925. From 1928 to 1932 Sachsenberg was member of the German Reichstag. He therefore left Junkers, but returned later to IFA and became again a IFA managing director position here. After new disputes with Junkers he left IFA finally in December 1931. In 1933 he joint the shipyard company of his father at Rosslau. In 1934 he was accused by the Nazi Government and prisoned in a KZ. Since 1942 Sachsenberg developed flying boats at the shipyards in Rosslau. He continued these developements after WWII and tried to reinstall several Junkers organisations together with Hagemann. Hans Sachsenberg was a brother of Gotthard Sachsenberg. During WWI he was construction supervisor of the German Airforce at the Junkers facilities in Dessau. After the end of WWI, Hans Sachsenberg joint the Junkers Flugzeugwerke AG and became a member of the board of directors in 1919. Hans Sachsenberg was mainly engaged in the area of air transport and became a managing director of Ad Astra in 1922 and in 1923 he was appointed as a member of the supervisory board of "Ungarische Aero Express". In 1924 Hans Sachsenberg became also supervisory member of Junkers Luftverkehrs AG. In 1925 he became the managing director of Turkische Flugzeug- und Motoren AG (Tomtasch) at Ankara, Turkey. In 1931 the Tomtasch engagement was stopped and Hans Sachsenberg returned to Germany. Herbert Schade joint Junkers in 1922 after having worked for Hans Grade before. In March 1923 Schade offically left Junkers and went to Fili in Russia. Also, when Junkers already had stopped his engagement in Russia, Schade remained their and worked for Aviatrust until 1928. In August 1928 Schade returned to Junkers and shortly later went to Mitsubishi in Japan, where he supported the Ki20 license production. 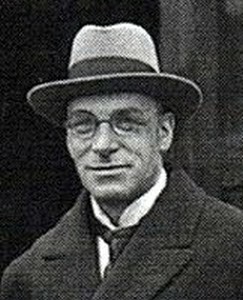 In September 1931 Schade returned to Dessau and was appointed as a chief engineer. During WWII Schade finally became the operational manager of the Junkers facilities in Dessau. After WWII Schade worked in Germany's heavy industries. Wilhelm Scheller joint Junkers at Aachen in 1902. He became manager of the Junkers Research Institute at Aachen. Under his management, the oil engine studies were restarted at Aachen after WW I. In 1919 Scheller went to Dessau, however further Junkers engagement of Scheller is not known. Ernst Schilling studied naval constructions at the TH Berlin until 1922. From 1922 to 1924 he worked for Tecklenburg Shipyards and later for the Krupp Germania Shipyards. Schilling joined Junkers Flugzeugwerke in 1924. His initial work was started with design supports of theJunkers G23. Later he was responsible for the wing design of the Junkers G38. Later he was the type manager of the Junkers Ju88 program since May 1939. He was responsible for the further developments of the Ju88, as well as of its successors Ju188 and Ju388. After WWII Schilling went to West Germany and worked for BBD at Mannheim. Reginald Schinzinger joint Junkers in 1922 and worked at the aerodynamic research departement of von Doepp. Later he became a member of the experimental flight unit and in 1928 he was responsible for the preparations of Koehl's Atlantic flight. In September 1928 he performed two world altitude record flights with a Junkers W34. Schinzinger participated in a lot of experimental flights, such as the experimental rocket flights onboard a W34 or the G38 world record flight on 10.04.1930 together with Zimmermann In 1934 he became the head of the experimental flight unit of Junkers Flugzeugwerke. He was one of the few survivors, when Ju90 D-AIVI crashed at Bathurst in 1938. After WWII Schinzinger went to France and worked there for several aviation companies. Later he returned to Germany and joint MBB at Munich. Schleissing joint Junkers & Co in 1893 and took over several financial functions. When Junkers went back to Aachen for his studies and lectures in 1897, Schleissing became managing director of the Junkers & Co. company. Under Schleissing's management ICO became a successfull company in the field of water boilers. 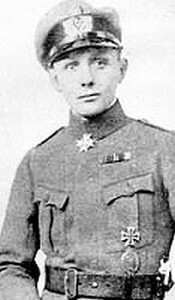 In 1917 Schleissing left the management position at ICO and became managing director of the Junkers-Fokker-Werke A.G. After WWI Schleissing was engaged in the air transport section of Junkers. In 1922 he belonged to the director's board of Ad Astra. In 1923 he was the TREU supervisory member for Rumpler Luftverkehr and in 1924 he joint the supervisory boards of Junkers Luftverkehrs AG and Sudwestdeutsche Luftverkehrs AG. Later Schleissing was the financial managing director of Junkers Flugzeugwerke AG. He left Junkers in 1931 after disputes with Junkers about the A50 development and general management questions, however Schleissing remained as a member of the supervisory board. He also was the managing director of the Junkers Motorenwerke GmbH at Magdeburg and supervisory member of the Oberschlesische Luftverkehrs AG. In June 1932 Schleissing finally left all Junkers positions. Schleissing was also chairman of the metal industry organisation at Saxony-Anhalt. 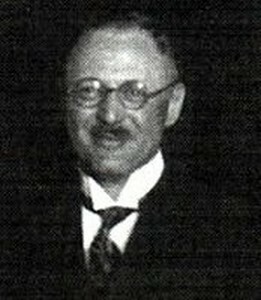 Dr. O. von Schlieben became chairman of the board of managing supervisors of IFA in October 1925, when the Reich took over the share majority of IFA. von Schlieben was the German financial minister by this time. He appointed Whilhelm von Staben as a financial supervisor for the IFA decisions in 1925. Boris von Schlippe started his carreer at Rohrbach Flugzeugbau. In 1930 he moved to Junkers. In 1935 he became Chief construction head for the high altitude aircraft EF61. Later he became head of a new Research Department for Jet driven aircraft (EFo Types). In 1946 he was sent to OKB-I in Podberseje, but returned already in 1950. Arved von Schmidt was a flying officer of the IDFLIEG. In 1917 he was sent to Dessau to perform test flights for Junkers & Co. In January 1917 he first flew the Junkers Junkers J.4, in September 1917 he flew the Junkers J7. After WWI he joint the Junkers Flugzeugwerke as a pilot. Theodor Scholl was responsible for Junkers in Russia since 1929. But in the same year he was sent out of the country by Soviet officals. By then Theodor Scholl was managing director of IFA during the 30s. In 1932 he had procurement on behalve of IFA. In March 1934 he became member of the board of directors of IFA, which he kept until the transfer of IFA into IFM in July 1936. Martin Schrecker Joint Junkers in 1934. 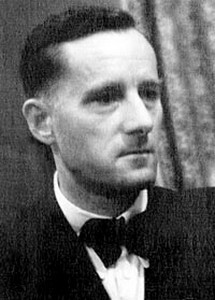 He worked on designs of the Ju90, Ju290 and Ju287 as well as the Ju252. 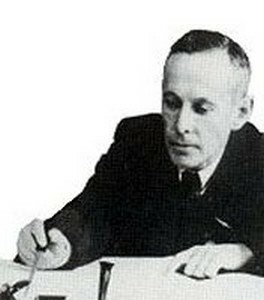 In 1946 Schrecker was sent to OKB-I in Podberesje, where he worked under Hans Wocke on detailled designs of the EF developments. After his return in 1954 Schrecker Joint the VEB Pirna Engine facilities, but escaped to West Germany in the same year. Schrecker Joint the Weser Flugzeugbau in Bremen and became type Manager for the Transall Programme in 1961. Franz Schubert studied Engineering in Köthen. He Joint Junkers in 1933. His work was mostly focused on air conditioning and pressurizations of cabins, i.e. for the Ju287 and Ju388. In 1946 he was sent to OKB-I in Podberesje. Since 1955 Schubert worked at the VEB Flugzeugbau Dresden. Schubert was Luftwaffenattache at the German embassy at Moscow in 1918. After WW I he became member of the strategic command of the Reichswehr under General v. Seeckt. Since 1921 he was the head of the Junkers facilities at < href="ju_fili_a1.htm"> Fili until 1924, when he became member of the Supervisory Board of JFA. In 1925 Schubert left the Junkers Flugzeugwerke. Hans Georg Schumann Joint Junkers in 1934 as a design engineer. His work was focused on the layout of flight characteristics. He was engaged on the Ju287 and Ju288. In 1945 Schumann became head of the Department for Flight Mechanics. In 1946 he was sent to OKB-I Podberesje and participated on all EF developments in Russia. After his return to Germany in 1954 he worked at VEB Flugzeugbau, but later escaped to West Germany, where he Joint Weser Flugzeugbau. He was responsible for the test flight Programme of the VFW614 later. Otto Seifert was an early member of the ICO aircraft bench. In 1915/16 Seifert participated in the developement of the first Junkers aircraft Junkers J1 and Junkers J2. He was a member of the IFA supervisory board during 1932 and represented the Junkers employees in the supervisory board. Major Carl Seitz was a Chief Marshall of Prince Leopold of Prussia before WW I. 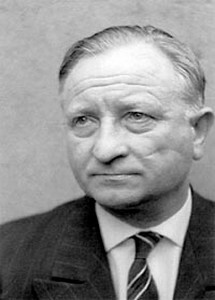 During the critical periods of the Junkers-Fokker A.G., Hugo Junkers asked Seitz to assist him in his position against Anthony Fokker and he offered Seitz to act and represent instead of Junkers in questions of the Junkers-Fokker A.G. Seitz was wellknown at the offical state departements and he prepared all activities, which had to be performed by Junkers or his companies. At the end of WW I, Seitz was the head of the Headoffice of the Junkers companies and he remained in that position during the first years after the war. Seitz was responsible for the legal activities during the seperation of Junkers and Fokker in 1919. He left Junkers following disputes with Sachsenberg in 1924. Sell studied naval constructions. In 1929 he joint Junkers Flugzeugwerke. He was responsible for the sales regions of Africa, Asia and Australia. In 1932 Sell proposed the addition of a small cooking place at the Junkers Ju52 of Prince Bibescu of Romania. The introduction of an electrical heaster at this aircraft seemed to be the world's first cooking area in an aircraft. In 1933 Sell already left Junkers and founded the Sell Haus- und Kuchentechnik GmbH. During the following years, Sell Aviation Galleys developed to one of the top Aviation Galley Supplier. Paul Spaleck joint ICO in 1902 and was engaged in the machine construction of ICO. In 1917 he became the successor of Herrmann Schlessing as the managing director of ICO at Dessau. He kept this position until ICO was sold to Robert Bosch AG in 1932. Spaleck was also engaged in the foundation of the Junkers Fili plants in Russia. After WW I he was the managing director of the Junkers plant in Russia since 1922. Later he returned to Dessau in 1925 and became again ICO managing director. In November 1932 Spaleck left Junkers. Wilhelm von Staben became the financial supervisor of the German Reich upon the Junkers Flugzeugwerke AG in October 1925, after the Reich has taken over the share majority of IFA. During 1926 he influenced the development of IFA intensivly but without economic success. In December 1926 the Reich returned leadership of IFA into Junkers hands and von Staben left Dessau. Bruno Staerke was member of the construction office of Dr. Zindel at Junkers Flugzeugbau since the early 20s. He was responsible for the undercarriage design of the Junkers J21 built for Russia. The detailed construction of Junkers G24 was headed by Staerke. 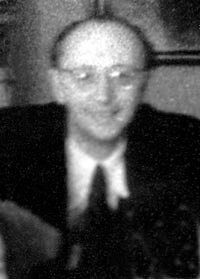 Hans Steudel studied at the TH Berlin. In 1911 he joint the Motoren-Luftschiffahrtsgesellschaft of Parseval at Berlin as a construction engineer. He joint the Versuchsanstalt Prof. Junkers in 1913 as a leading engineer in the construction office for ship engines. Later Hans Steudel was technical director of Junkers & Co. at Dessau during WW I. Together with Otto Mader he was engaged in the foundation of the first steps of Junkers aircraft designs. In 1916 he was engaged in the Junkers J7 design. From 1933 to 1945 Steudel was the manager of the material research departement of Junkers. From 1945 to 1953 Steudel was forced to work in Russia for the Soviets. Gustav Steuerlein joint Junkers following WWI. He was specialized in the weapon techniques onboard aircraft and worked at the Construction Office until the end of WWII. In 1946 he was sent to Podberesja in Russia by the Soviets. He returned to Germany in 1953 and moved to Oberursel. Paul Szyszka was a landing gear specialist at Junkers Construction Office. He designed the Ju88 and Ju288 landing gears. In Podberesje Szyszka was engaged in the design of the Tandem Wheel gear of the EF150. When Szyszka returned to Germany he Joint the VEB Flugzeugbau Dresden, where he became the head of the landing gear construction Office. The navy pilot Richard Thiedemann was sent to Dessau during WW I for some experimental flights on the J.11. In November 1919 he joint the Junkers Flugzeugwerke as a test pilot and became an operational director. 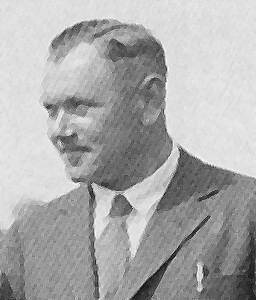 In 1924 Richard Thiedemann was appointed as technical director of IFA. In 1937 he became facility manager of Junkers Flugzeug- und Motorenwerke AG. He remained in that position until the end of WWII. After WWII Thiedemann was member of the board of directors at the Henschel Flugzeugwerke AG in Kassel. 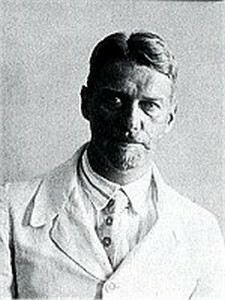 Otto Thomsen studied at Munich University during WWI. In 1922 he joint Junkers as a pilot upon request of Prof. Mader.  He was also engaged in the construction of wind channels. In 1924 Thomsen went to Fili as a trial engineer and test pilot, where he supported the developements of the Junkers H21 and the Junkers K30. In 1927 he returned to Germany and left Junkers. From 1927 to 1933 Thomsen was Technical Director of the Deutsche Luftfahrt GmbH. 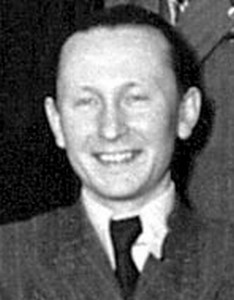 Guenter Tschersisch became member of the supervisory board of the newly founded Junkers Flugzeug- und Motorenwerke AG in July 1936. Friedrich Treitschke was a member of Junkers Flugzeugwerke in the 20s. He was a Swedish national and was much engaged in the foundation of A.B. Flygindustri at Malmo in 1925. Together with Hugo Junkers and Adrian Flormann, Treischke became shareholder of this company in 1925. 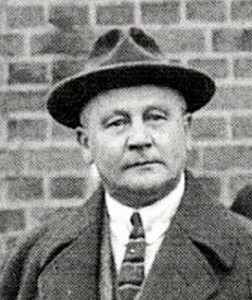 He also was the first director of the new facilities at Malmo in 1925 and kept this position until 1930 with few interrupt periods in 1926, when Adrian Flormann took over this position. He was succeeded by Mierzinski in 1930. Anton Urban joint Junkers Research Institute in Aachen in October 1911. In 1913 he was on sales tour at Lille. When he returned in July 1914 he left Junkers. Bruno Urban joint Hugo Junkers in 1927. He was mainly engaged in the field of metal building construction Urban was a private assistant of Junkers. Urban designed public phone cells and car garages in all metal constructions. 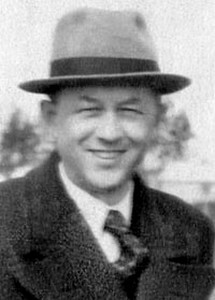 Wilhelm Ulderup was the founder of the Luftfrako in 1927. In April 1929 he joint Junkers and was sent to China. When he returned in 1930, he left Junkes Flugzeugwerke.